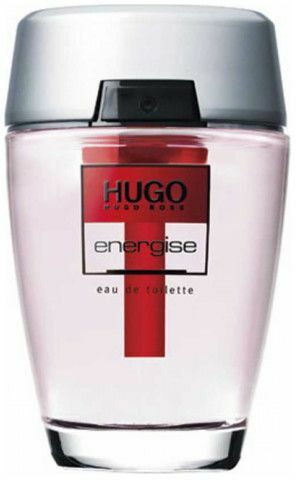 The Energise Hugo Boss Perfume is a highly addictive fragrance that will make you fall in love with it. It has a rich blend of ingredients that and is suitable for all seasons and occasions. This perfume has the sweet and juicy notes of pineapple and mandarin orange at the top. In the middle are present the exhilarating notes of jasmine and freesia, while the base enchants the senses with the deep and earthy notes vanilla and leather. This perfume for men is available in a 125ml flacon, in Eau de Toilette concentration. This Energise by Hugo Boss perfume opens with a blast of mandarin orange, kumquat, cardamom, pineapple leaf, lemon, pink pepper, and mint. These fresh and juicy notes mix to produce a captivating aroma that will fill you an others around you with beauty. The heart of this Energise perfume is comprised of the notes of jasmine, clary sage, juniper, coriander, nutmeg, and freesia. The sweet, narcotic and bracing scent of jasmine and clary sage combine with the intensely refreshing notes of juniper, coriander, nutmeg, and freesia to give off a mind-clearing, exhilarating aroma that is a delight to the olfactory senses. The base notes of this Energise by Hugo Boss perfume includes vanilla, leather, and teakwood. The deep and powerful combination of these notes creates an elegant and intoxicating aroma that will intrigue anyone you meet. 87.8% of users recommend this product to a friend.